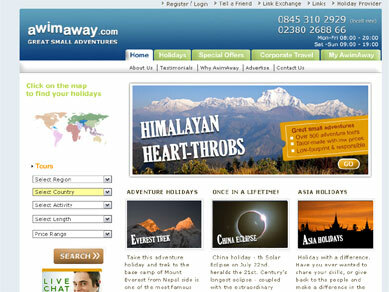 • Awimaway: This website has 1 720x300 flash banner/header, 1 flash world map, 3 images, and one button image. It takes almost 2 minutes for this website to load. Tip#2: If you have to put images on your website then it is always better to have them optimized for web. You can save them in optimized JPEG or GIF format and even reduce the size without hampering the resolution using Photoshop. Another option is to reduce the use of too many colors because the lesser the colors, the smaller the size. If you are using flash banner then you can always replace it with an animated GIF banner, which will be smaller in size and easier to upload. 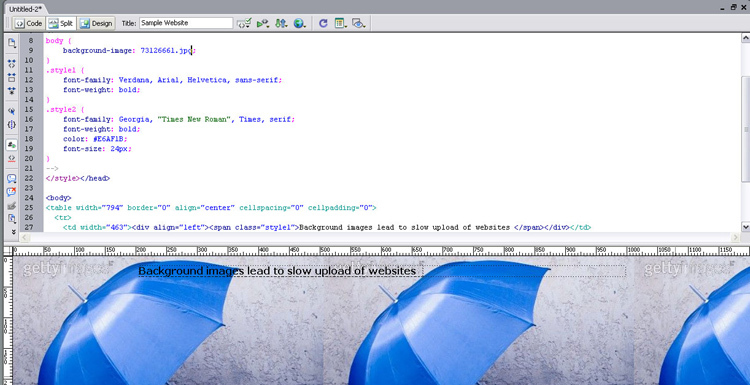 You can create GIF animations using Photoshop and Imageready. Tip#4: Use simple icons. Whether you create a small icon or a big icon, both will capture the attention of visitors and make your website look good. But big and bulky icon images can take a lot of time to load so it is always better to use small icons instead. 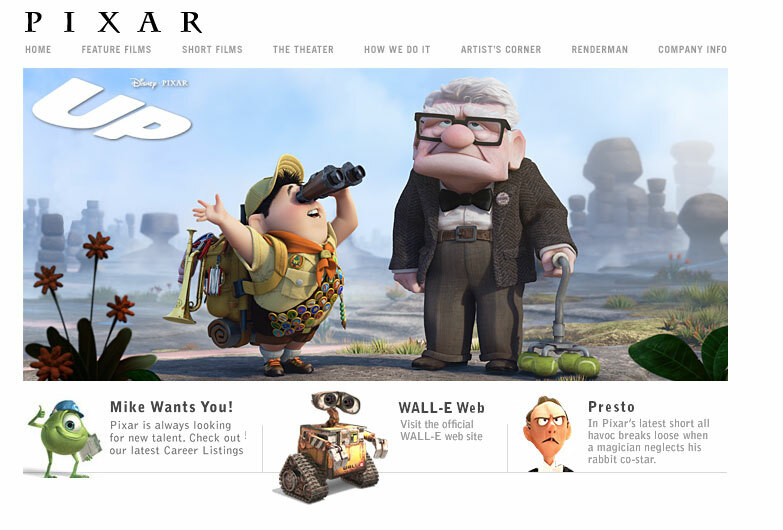 For example: Pixar Animation studios have big icons on their homepage. Of course, it is fine for them because the company is into making animation movies but it is a no-no for any other company or business website. Tip#5: Use a solid color background instead of an image based background. If you have an image in your background then it will take too much time to upload. 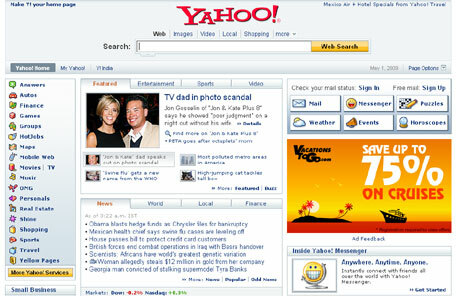 Instead use a solid color and use images within the web pages.